The Alliance of American Football had a successful inaugural season-opening set last night. 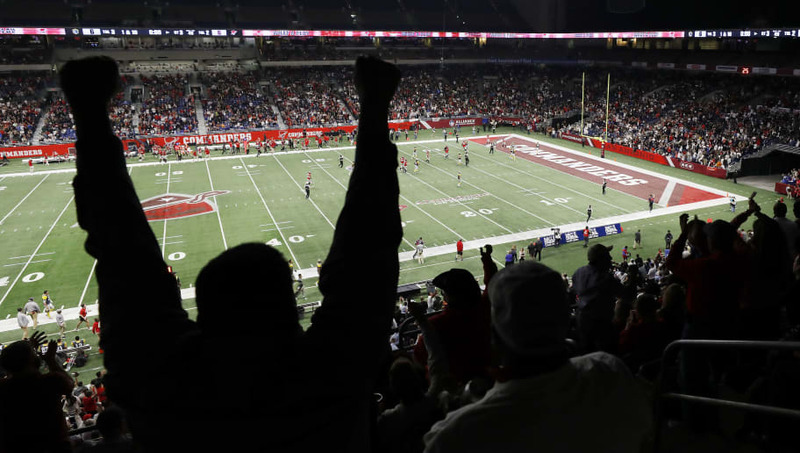 The two games featured excitement and big hits, causing the AAF games to outperform the NBA in television ratings. Football fans are getting football on Sunday only a week after the Super Bowl. The Memphis Express is on the road to Birmingham to take on the Iron for the first game of the day. Later on, the Arizona Hotshots host the Salt Lake Stallions to wrap up Week 1 of the AAF season. If today's games are anything like last night's, there will be plenty of heavy hits, mic'd up refs, and fast-paced play. These players are hungry to prove what they can do, and it is exciting to watch. The first game of the day between the Memphis Express and the Birmingham Iron will kick off at 4 p.m. EST on CBS Sports Network. The second game featuring the Salt Lake Stallions and the Arizona Hotshots will air at 8 p.m. EST on the NFL Network. The games can also be found on the AAF Streams subreddit here, or the NFL Streams subreddit here.